Margarita’s in East Hartford is celebrating the holiday with many special deals leading up to the big day. Tuesday, May 2 will bring $5 all-you-can-eat Tacos Americanos (chicken and beef), on Wednesday May 3, Margaritas will have $5 fajitas with the purchase of any full-sized fajita, and all appetizers are $5 on May 4. 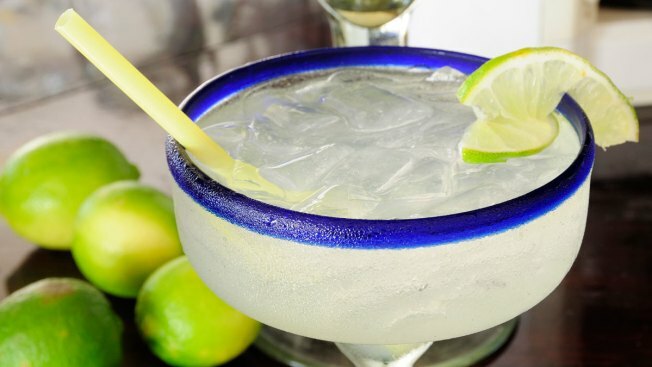 Cinco de Mayo at Margaritas will include an all-day party with $5 all-you-can-eat nachos and regular house margaritas before 4 p.m. If you mention “Cinco Days of Goodwill,” 20 percent of your bill will be donated toward the local Goodwill. Geronimo Tequila Bar and Southwest Grill will host a party with an outdoor pig roast, giveaways starting at 11:30 a.m., and an outdoor taco cart at 5 p.m. The Infinity Music Hall in Hartford will host a Sacred Fire Cinco de Mayo Fiesta on May 5 at 8 p.m. This event will pay tribute to the musician Santana, while offering tacos, tequilas, and the chance to dance. Wood ’n Tap will bring out their special seasonal menu for Cinco de Mayo. You can get guacamole, avocado toast, Santa Fe egg rolls, street tacos a la carte, tres leches cake, among other specialties. Foxwoods Resort Casino is hosting its annual Cinco de Mayo Pub Crawl this Friday. For $10, there will be drink and food specials for participants and a prize drawing at the end of the night for the chance to win an overnight stay, $150 food and beverage voucher, concert tickets, and a $50 Foxwoods Casino Gift Card. The festivities begin at 6 p.m., with plenty of drink discounts at restaurants such as Guy Fieri’s Foxwoods Kitchen & Bar, Hard Rock Café, and Scorpion Bar. The New Haven location of Geronimo Tequila Bar and Southwest Grill will also host a pig roast party starting at 11:30 a.m., and a street party starting at 5 p.m., with a taco cart and mariachi band. El Segundo will throw a Cinco de Mayo party on May 5, 6, and 7. The restaurant will offer traditional Mexican inspired food & drink specials, giveaways & much more. The Stamford Bartaco will host a celebration with live music by DJ Nicke Pepe from 7:30 p.m. to 11 p.m., and special food and drink deals. Taco Loco Mexican Restaurant & Catering is celebrating Cinco de Mayo 2017 with live music, a party tent, a special dine-in menu, a street taco truck, drink specials, and giveaways. Plaza Azteca will present Cinco de Mayo the Festival, an all-day indoors and outdoors event. This fiesta starts at 12 p.m. and will include live music, drink and food specials, giveaways, a kid’s area, and much more. Besito will host a Cinco de Mayo complimentary tequila tasting featuring Patron from 2 p.m. to 5 p.m. In addition to the tasting, there will be amazing specials and a chance to win a $100, $200, and $500 gift card to Besito. Bartaco in all three Connecticut locations will host a special party for Cinco de Mayo on Friday, May 5. At the West Hartford location, Bartaco will have facepainting from 3 p.m. to 6 p.m., a Rockbox Band from 6 p.m. to 9 p.m., and DJ Gabe Gandres from 9:30 p.m. until close. The Westport Bartaco will host a celebration with kids’ face painting from 4 p.m. to 8 p.m., Acoustic Mafia from 5 p.m. to 8 p.m., and the Mike Cusato Band from 8:30 p.m. to close.